Price is for a six-pack of filters. 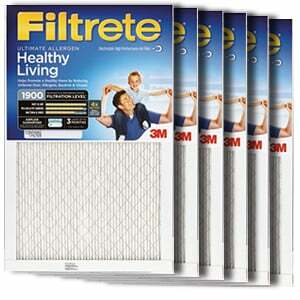 The Filtrete Ultimate Allergen Filter is one of the most advanced high-performance home air filters from Filtrete. 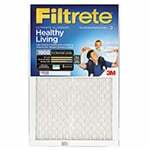 This 3M Filtrete air filter even outperforms Filtrete's own Advanced Allergen - previously the No. 1 performance filter on the market. 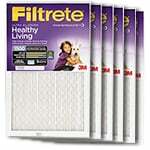 This allergy air filter also provides 25% more air cleaning power than the Filtrete Ultra Allergen Reduction Filter. 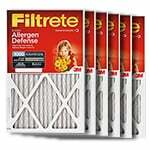 This Filtrete air filter boasts a 1900 Microparticle Performance Rating (MPR), which represents the effectiveness of a filter at capturing the smallest airborne particles measured in the industry standard test. This Deep Blue filter lasts 3 months and meets the American Lung Association Health House Indoor Air Quality Guidelines.